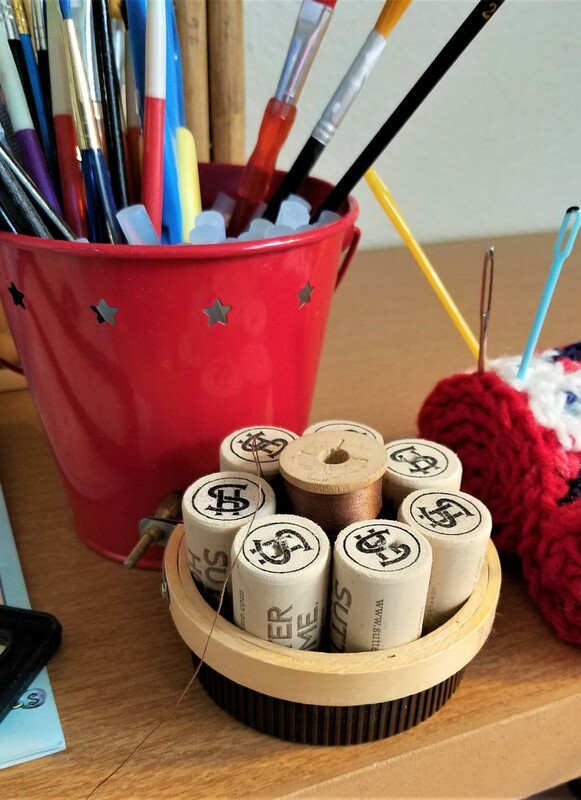 Wine corks are used in a wide variety of crafts. This guide contains two projects utilizing them. You can make a cute thread dispenser or a decorative candle holder. If you enjoyed the trivet and the coaster, I am happy. Here is day 3 and 4 of my 4 day post. This one is a bit unique and not for everyone. As someone who sews, you might like it though. 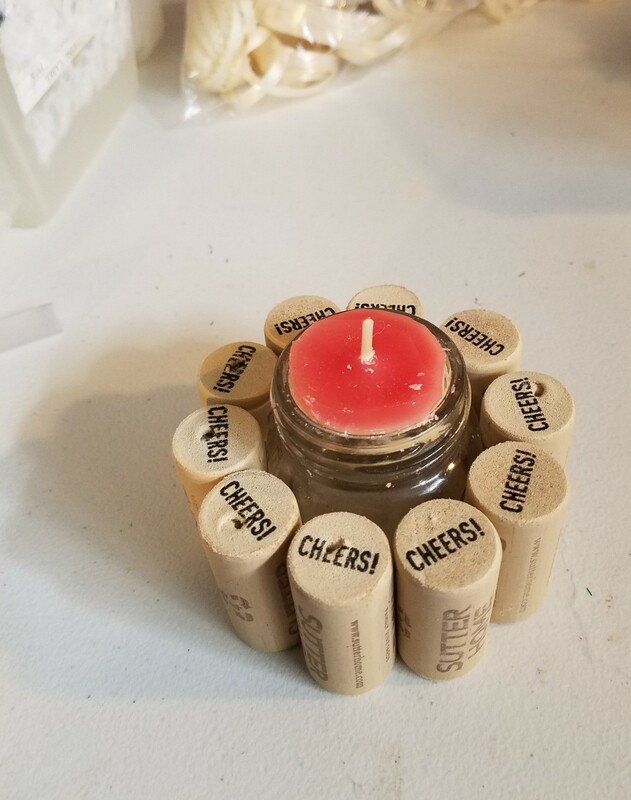 The candle holder is cute too, but I wish I could have found a smaller candle. This post contains two separate craft projects, choose one or both and have fun! I didn't think about the spool until the craft was half done, so there is no shot of it in the supplies. But for this project, I was able to use both the inner and outer rings of the hoop. 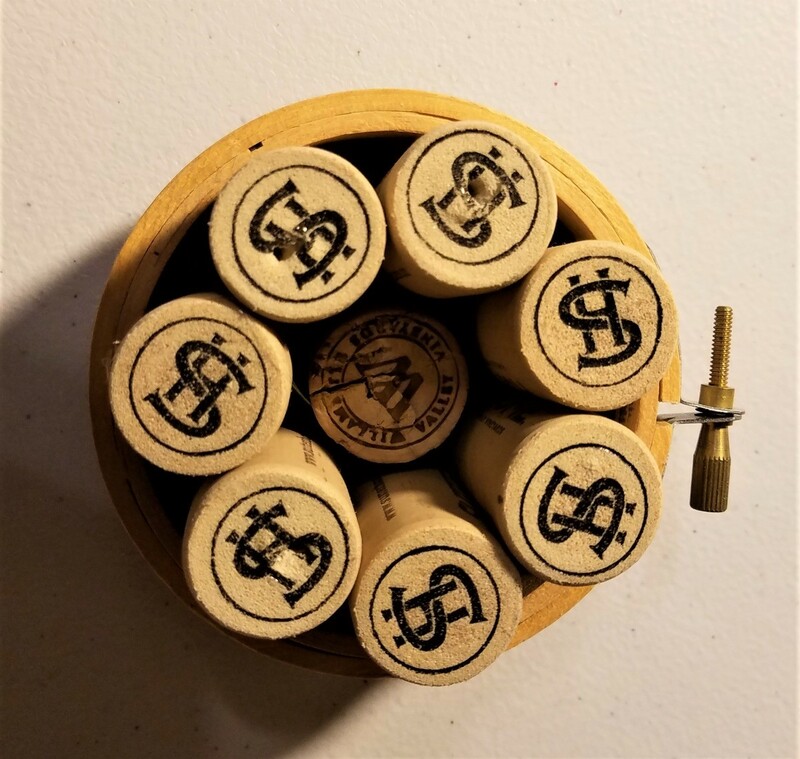 It took 8 corks total. More on that in a few. I was trying to force 9 in there and that is when I took out the center two, and it hit me. "I bet a small spool of thread would fit in there". And it took some doing to find the right size, but I did. 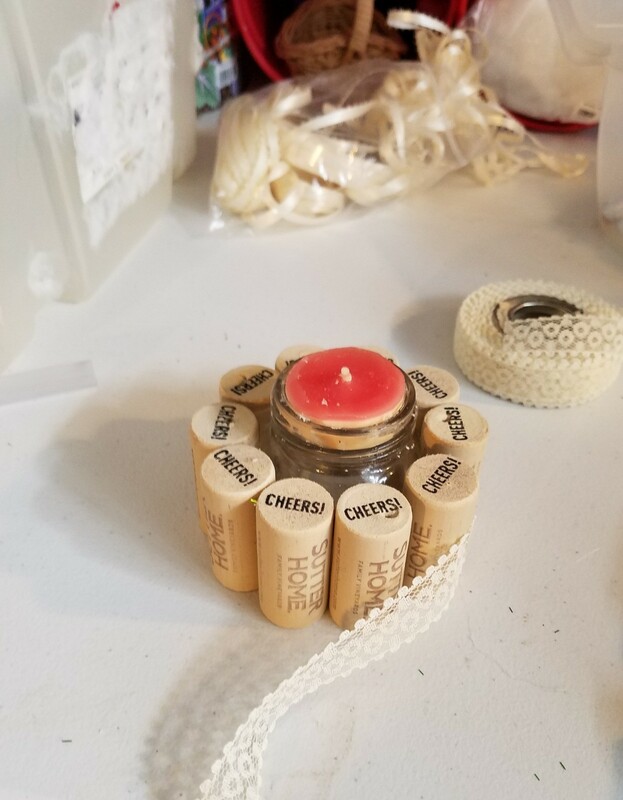 The spool sits up on a cork that has been cut in half. When you have the smaller spools, it really is amazing how cool it is to not have it roll all over the table. 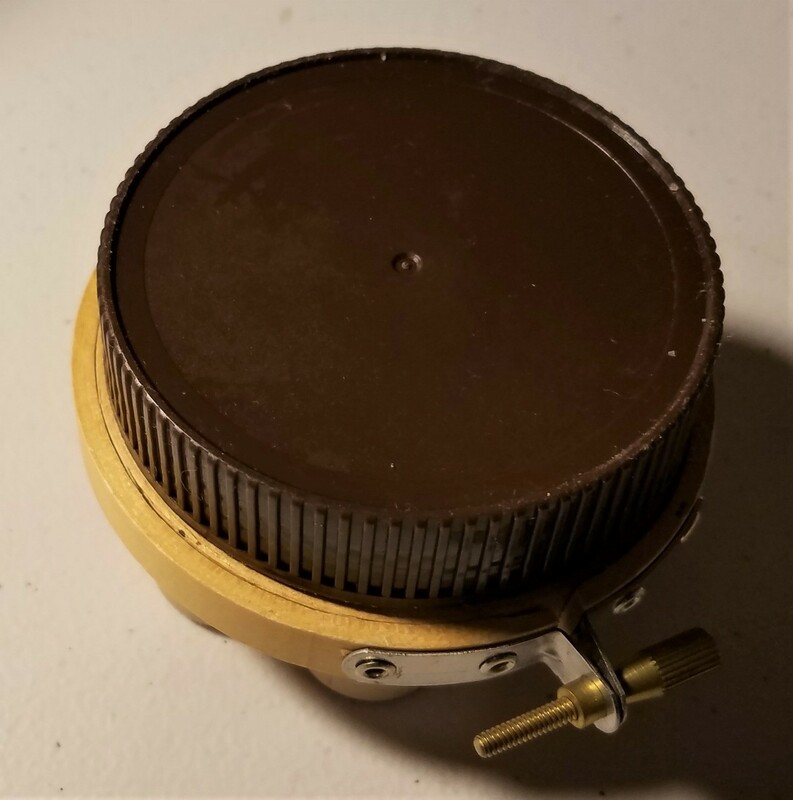 For the final step, I found a peanut butter lid that fit so perfectly on it that it was like the two were meant to work together. 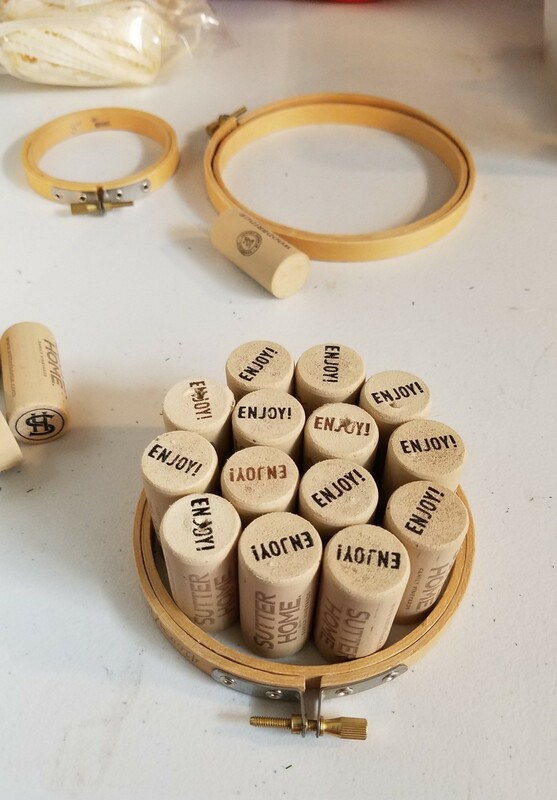 You can glue it if you like, then flip it over, or just fit the corks down in it. Or you can leave it off. I used it so it would slide a bit easier on my work table. 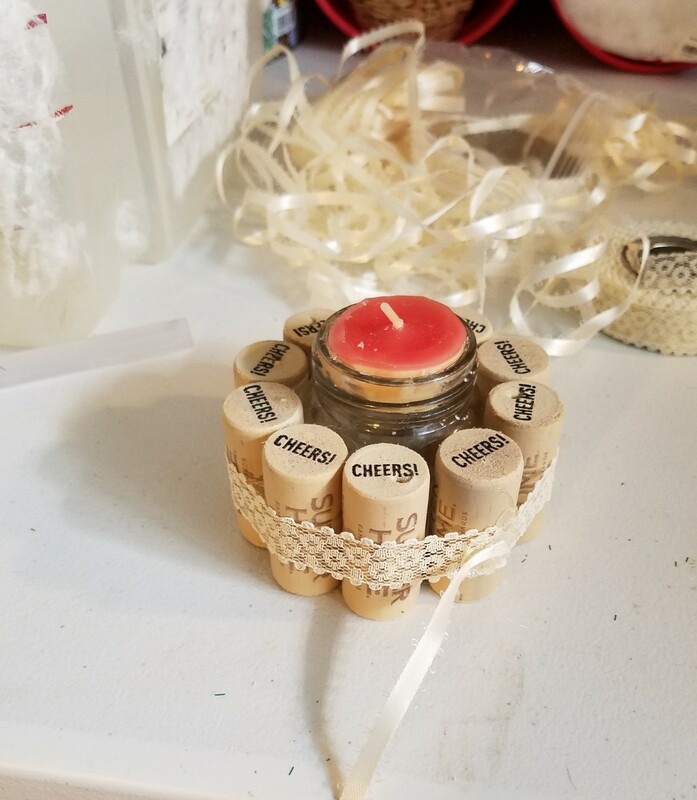 For the candle holder, it was pretty much the same thing, but with a small jar in the center instead. 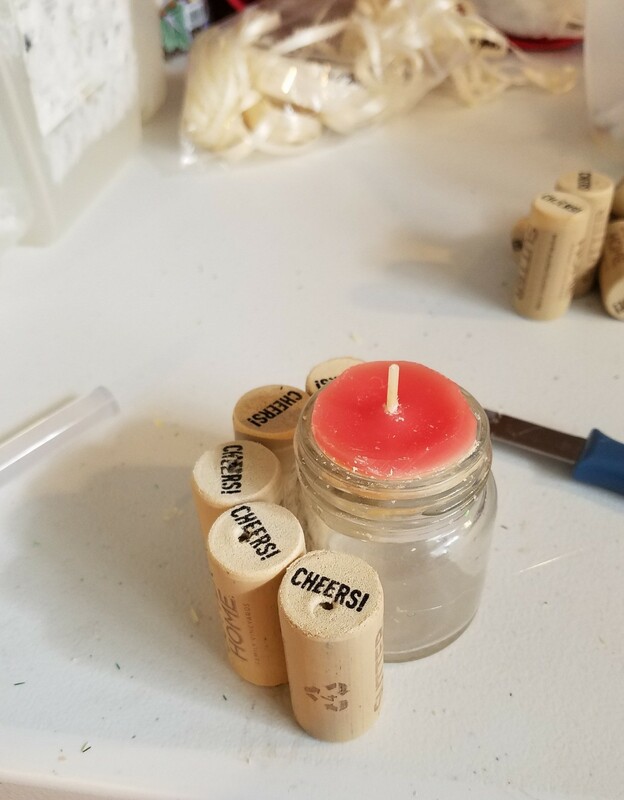 Sadly, I had glued the corks around the jar before I realized the candle wouldn't set inside. I had to carve it down some and wish now I had used a faux candle, but live and learn I guess. 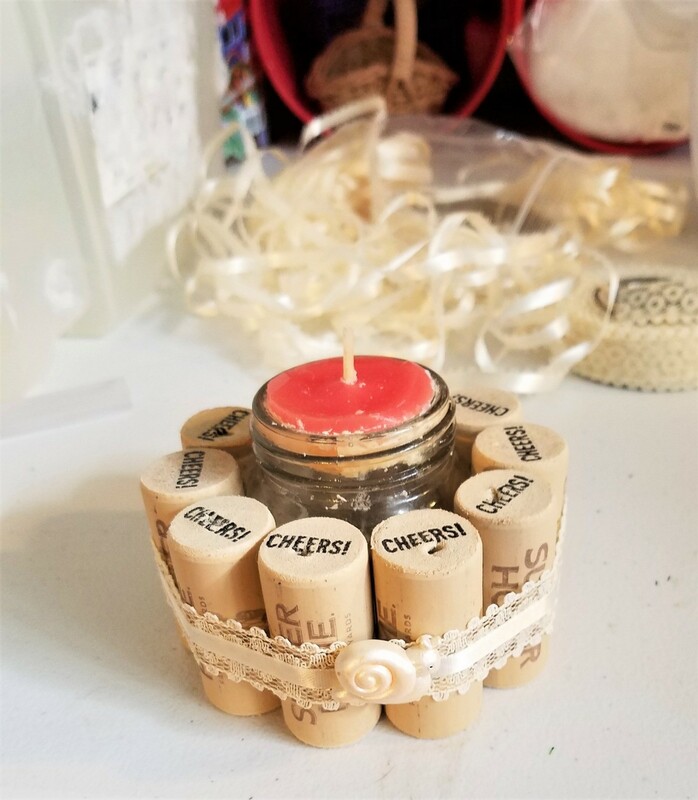 I glued the corks around the jar and added the finishing touches. I wanted it to be a bit prettier so I put some lace and ribbon around it, adding a snail button.